The business services Joomla template should be elegant and professional, without creating too much visual fuss that distracts the visitor from their purpose, which is of course, reading your content, buying your product or hiring your services. The idea of the business services Joomla template is a template that is not only simple to use but one that also carries a healthy dose of style. 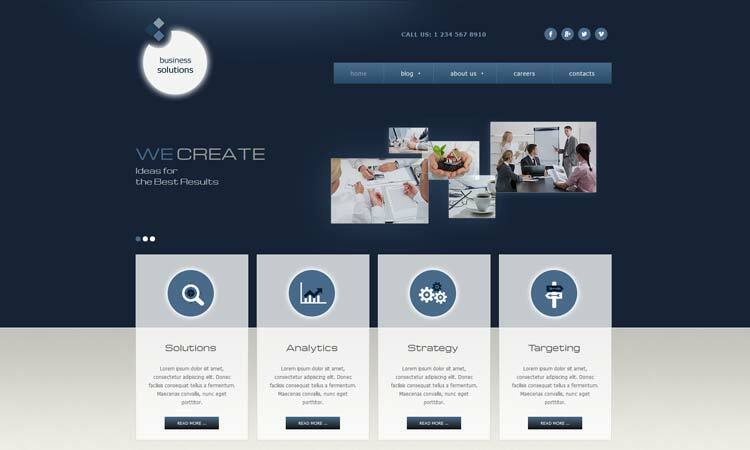 Global Solutions is Responsive Joomla! template which is based on the Bootstrap and AS Frameworks. The Bootstrap Framework makes it fully responsive to all screen resolutions and aspect ratios, the AS Framework allows you to customize our templates with minimum coding knowledge. The design is professional, the seriousness of your company is underlined with design of this template. Entering the site based on this Business Services Joomla Template visitors will easily catch the main idea of your business and get any information concerning it. Thought-out structure of the content helps communicate it in easy-to-perceive way. Drive more clients in and increase their number with a premium site based on this template.